When we created the Happy Family Training™ program, we first tested it with our own children. Our pilot group was so successful, and the effects so powerful, that teachers began to ask for more information. As a result, we developed the Happy Kid Toolkit™—a response to the growing demand for help with attitude and behavioral challenges in the classroom. Happy Family Training™ provides tools to teach self-responsibility, healthy boundaries and kindness. It's not about shaming or blaming others; instead, it's about empowerment. 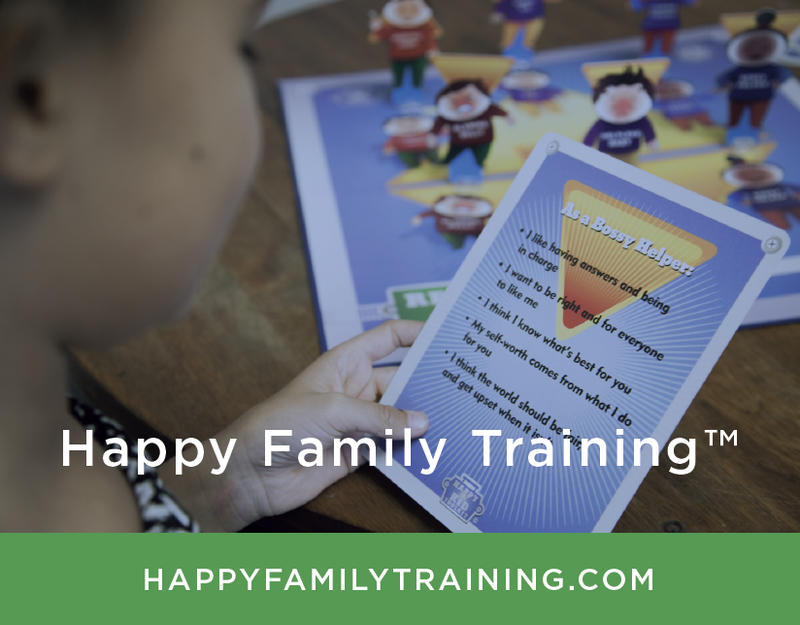 Anyone can learn and benefit from the the Happy Family Training™ toolkit, which includes a Reality Mat©, Training Video, User Guide, Character Cards and Educational Posters. Together, these tools show kids and adults how to move off of the Unhappy Kid Triangle™. This is a two-hour training session for Educators, with optional thirty-minute role-play session for students. We also offer extended multi-day sessions and more. Please contact us to discuss. Includes one Happy Kid Toolkit™ purchase per session. Teaching parents to say "No"
How do we really address bullying? Solutions that actually work! Optional 30-minute role-play session for students.